With much enthusiasm – and no shame – I contribute to the Weekly Photo Challenge using my worst photos ever. This week’s topic is companions, and despite the lack of viable photos I have to do a shout-out to my beloved writing companion, my iPad. 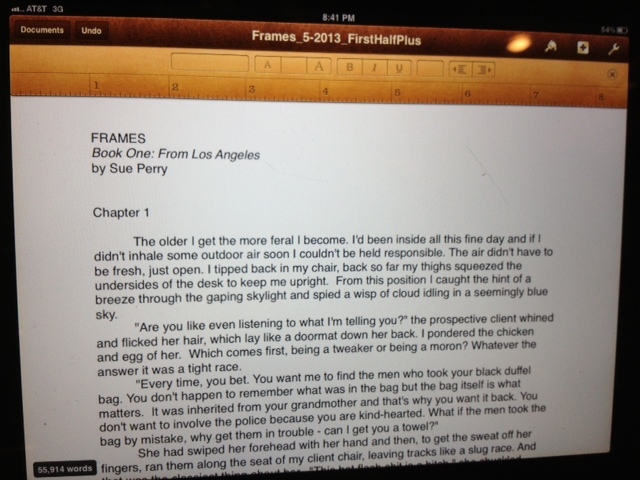 I recently wrote my novel Scar Jewelry on my iPad, and now am close to finishing a first draft of my fantasy detective novel Frames. With my iPad I write on my patio on a balmy sunny night. With my iPad I carry my words and ideas around just about all the time, keeping them in the glove compartment in case I get a spare moment to write. And with my iPad I can slip over to play a few games and think things through subconsciously when my writing gets stuck. Below are my writing apps in action. I wasn’t sure that screen shots should count as photos so I snapped these photos with my phone. Hence the unforgettable quality. 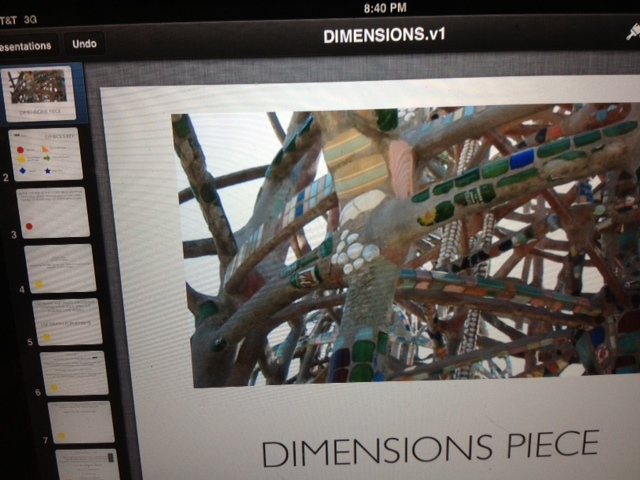 Early version of my latest novel, as planned out using Keynote’s presentation slides instead of notecards. 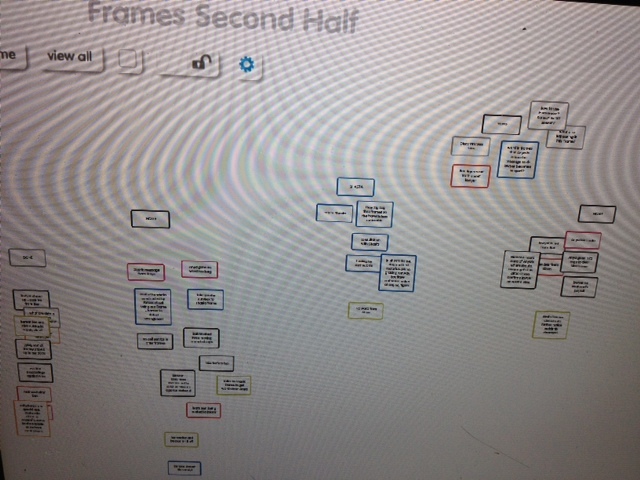 I organize and reorganize elements in a scene using the mind-map app Poppplet. The writing itself I do with Pages.